San Antonio is situated in the southern part of Texas. Widely known as a major industrial center and an important tourist destination, the city attracts nearly 20 million travelers a year. A river with the same name passes through San Antonio. There is an incredibly beautiful promenade built along the river. Naturally, this part of the city is the most picturesque and liveliest. San Antonio is one of the cities that managed to preserve its Spanish culture including language, music, architecture and lifestyle. It is the first visited by those who come to Texas as besides its unique culture it is also attractive with lots of shops and facilities for entertainment. There is one more unusual national symbol. It is the spicy “chili” dish. It is believed San Antonio was the place in America where the dish was cooked for the first time here. In 1893, the world gastronomic exhibition took place in Chicago, and residents of San Antonio participated in it. This is when judges and public saw the fragrant and spicy chili for the first time. Nowadays, the meal is well known to all residents of the United States and is very popular. The modern city with a rich history has a lot of unique attractions. The main historical monument of Texas – the fortress of Alamo Mission - is located in the city. For local residents, it is a symbol of the long-awaited independence. The history of the fortress and its amazing transformation is very unusual. San Antonio is famous for its original theme parks. Therefore, it never ceases to attract travelers with children. The choice of attractions and places of interest in the city is absolutely amazing. The hotel infrastructure of San Antonio will also please tourists. To the service of modern travelers, there are several unique historic hotels, some of which are record holders from The Guinness Book of World Records. Fairmount Hotel is one of these exceptional places. Initially, it was opened in 1906. However, not everyone knows that the legendary hotel has changed its location since 1985. It was literally moved three blocks, so it didn’t hinder the further development of the city’s infrastructure. Fairmount got into the Guinness Book of World Records as the heaviest building in the world that was moved to such an impressive distance. San Antonio is a unique city with amazing symbols and traditions, and everyone who loves travel should definitely visit it. San Antonio is an excellent destination for all fans of active recreation and interesting excursions. Unique San Fernando Cathedral remains one of the main landmarks of the city. It is also one of the oldest religious landmarks in the United States. The building of the gorgeous church took place in the middle of the 18th century. The cathedral still has some architectural elements that belong to its original design. At the beginning of the 20th century, one of the largest renovations took place at the church. This is when it got unique stained-glass windows. There is one more historical landmark not far from the cathedral – the Bexar County Court House. It is a fabulous example of the Roman Renaissance architecture. Sandstone is the main material used in the building of this fabulous building. The court house was finished in 1896. Travelers with children and fans of active recreation will find it incredibly interesting and exciting to visit the Marine World entertainment complex that is located on the outskirts of the city. 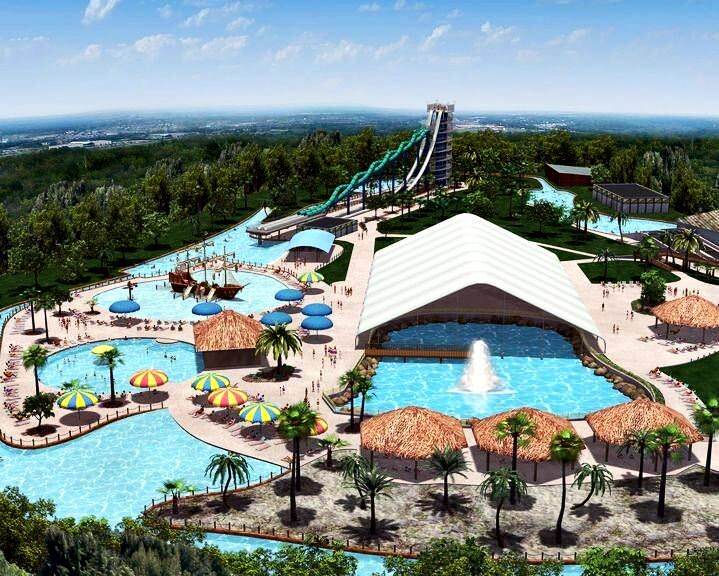 This center includes an aqua park with thrilling rides and swimming pools. There are also frequent thematic programs, performances, and even mesmerizing whale shows. This guide to iconic landmarks and sights of San Antonio is protected by the copyright law. You can re-publish this content with mandatory attribution: direct and active hyperlink to www.orangesmile.com. Check on the map: Distance from San Antonio center - 44.7 km. 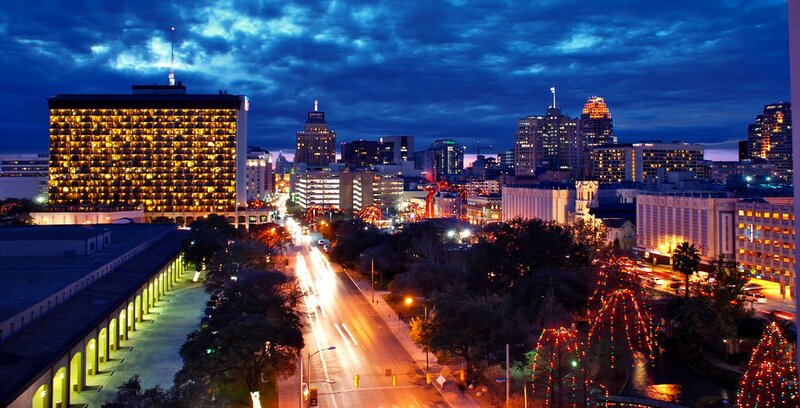 All about San Antonio, USA - sightseeings, attractions, touristic spots, architecture, history, culture and cuisine. Prepare your trip together with OrangeSmile.com - find out the 'must see' things in San Antonio, which places to visit, which excursions to take, where the breathtaking views are waiting for you. 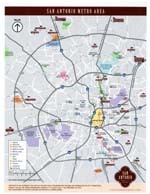 Planning your trip with this travel guide will help your to get the most out of San Antonio in few days.